Driving along Clarke Street in Port Moody can mean one of 2 things. Either you are avoiding traffic on St. John's during rush hour or you have the intention of visiting some of the business that line the street. Unless you were in the mood for Rosa's (not sure why the place is so popular), the other obvious choice would be Cake-Ya. Coincidentally, I was on Clarke Street heading towards Barnet Hwy when I made a last second decision for some purin. That jolted my son, who was in the backseat. So what exactly is Purin? Well, if you try real hard, you'll get "pudding" after many attempts at mispronunciation. 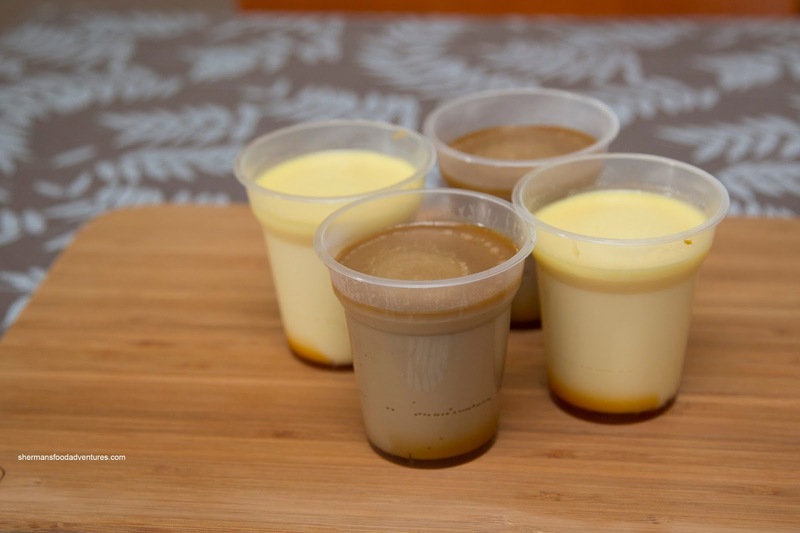 Yes, it is the Japanese version of a creme caramel, except the preparation is not exactly the same. After years of without Cake-Ya, I felt the time had come. Going for the Original and Coffee flavours, the purin itself was smooth, rich and devoid of air bubbles. The aromatic and sweet caramel underneath added a certain smokiness and sugariness to an otherwise mild-tasting purin. 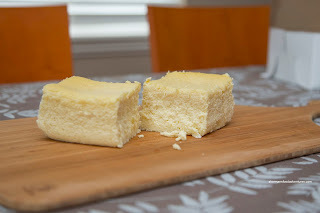 Another item that I can't get enough of is their version of Cheesecake. No, and there is no lineup here like Uncle Tetsu (not available locally yet). It isn't exactly the same, but this one is just fine for me. The texture was light, fluffy and rode the fine line between rich and airy. It wasn't very sweet, but the cream cheese flavour and texture truly came through. 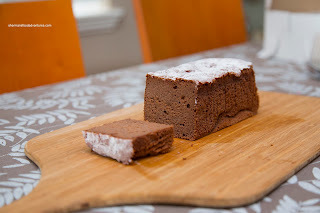 I also got the Chocolate Cake which was on the drier and denser side. It wasn't too sweet either while adequately chocolaty. The kids were a bit indifferent towards it partly due to the dry texture. 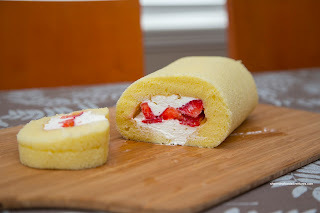 One thing my daughter did enjoy was the Strawberry Roll. This light sponge cake was filled with a good amount of whipped cream and fresh strawberries. The sweetness factor was on low where I could taste the delicate egginess of the cake and the natural sweetness of the strawberries. 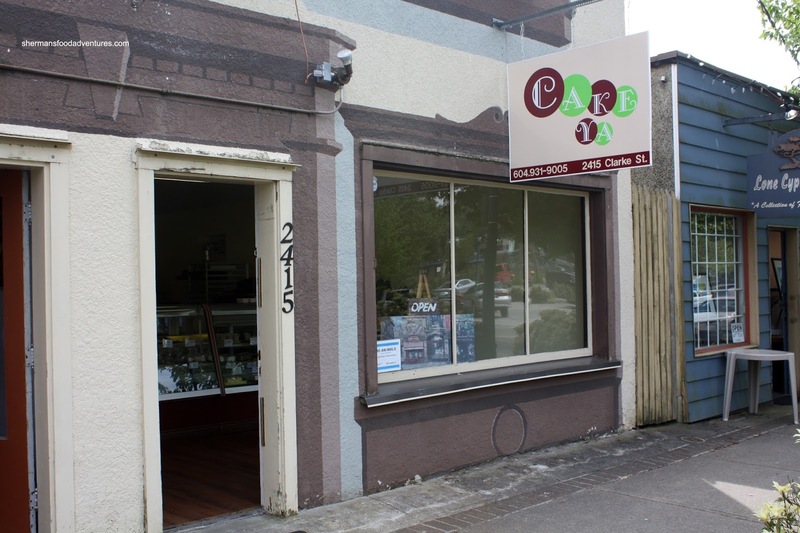 I didn't end up getting any cookies nor the daifuku this time around, but I really should visit Cake-Ya more often.